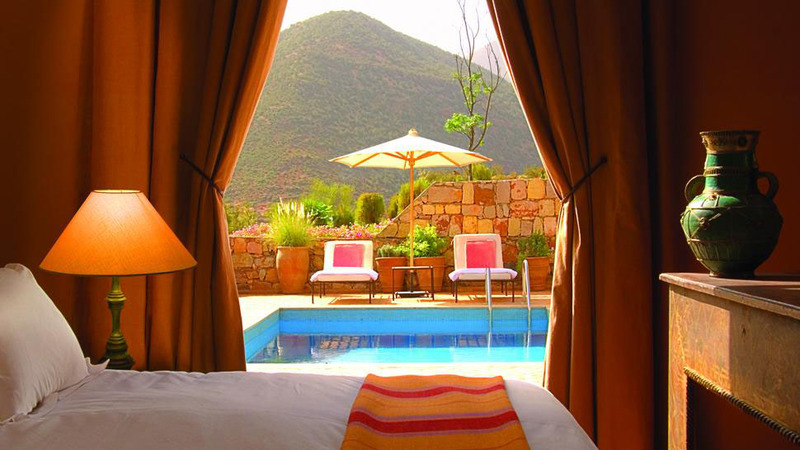 During one of his famous ballooning expeditions in 1998, British entrepreneur Sir Richard Branson discovered this breathtaking property located in the Atlas Mountains one hour’s drive from Marrakech, Morocco. He subsequently bought the property and turned it into a luxury retreat. The rooms and tented suites at Kasbah Tamadot are individually decorated using traditional Moroccan furnishings and antiques.